My Family Fun - Happy Feet Tap Dancing Mumble The beautiful penguin in movie Happy Feet! The beautiful penguin in movie Happy Feet! Based on the movie, main character of the upcoming box office release, "Happy Feet", which stars Elijah Wood, Robin Williams, Hugh Jackman and Nicole Kidman, Tap Dancing Mumble brings the story of this loveable tap dancing penguin to life! He can't sing but he can tap dance like no other. 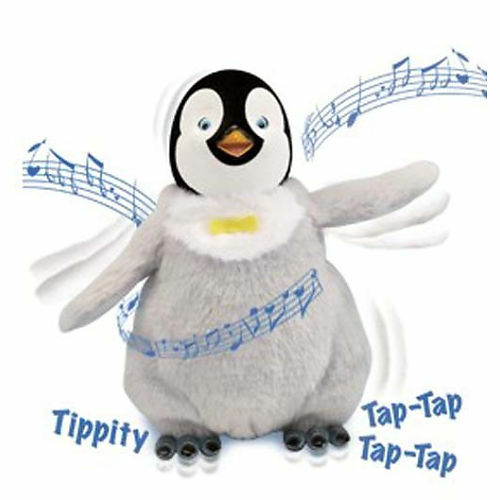 Whether dancing to the song included or music from an external source, Mumble keeps his toes tapping all day long. When kids speak to him, Mumble responds by talking and dancing. 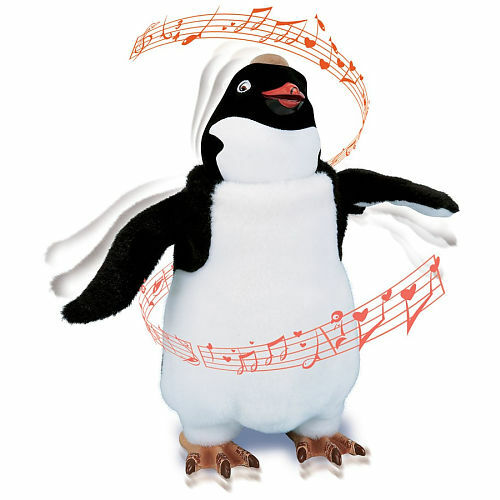 Also available : Happy Feet: Dancing Ramon. Age: 4 years and up.